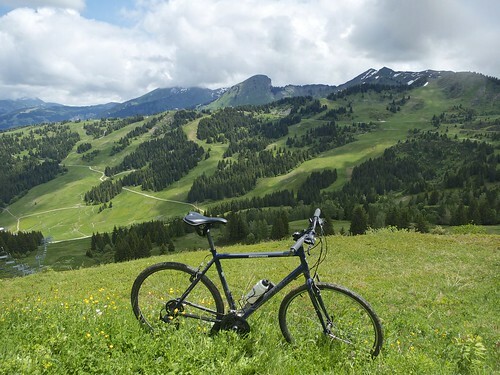 Several times when cycling past Col du Ranfolly on the way to/from Joux Plane I have looked at the unpaved roads up the ski slopes of Les Gets ski station and thought I could probably reach Col de Joux Plane from below … and finally I decided to try. 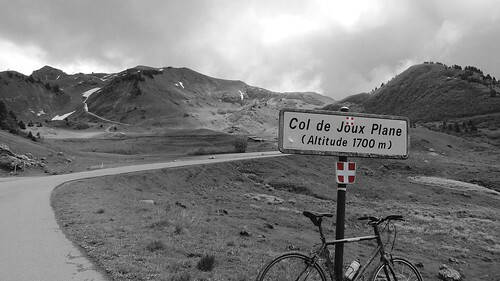 For details of the classic, paved route to Joux Plane from Samoëns see here. 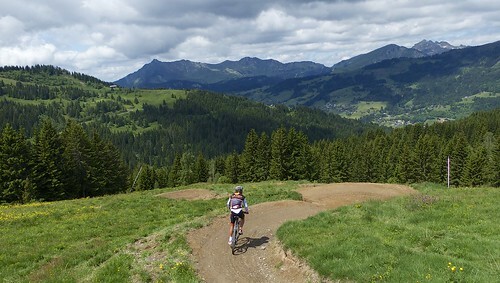 For perhaps the best challenging road bike loop in the region, including the Morzine side of Joux Plane, see here. At Les Gets, I turned up following signs to the golf course and/or Les Chavannes. The paved road ends at La Chavannes, but a quality gravel road is easy to find. I took a detour to explore some of the many trails, eventually reaching the top of a ski lift at La Rosta. After enjoying the views, I double backed and easily found the high paved road between Col du Ranfolly and Col de Joux Plane. I am not going to say this 3rd way to Joux Plane is better than the paved routes. It is not. The route to Les Chavannes is only of moderate interest …. heading through chalets. But, it’s another option, and there are plenty of other trails on the ski slopes for mountain bikers to explore. After descending Joux Plane, I looped backed to Taninges and visited La Chartreuse de Mélan monastery and enjoyed a great big bench. A fun third way up Col de Joux Plane. Unlike the other two, this requires a mountain bike. Was on my mtb not going well up Colombier!